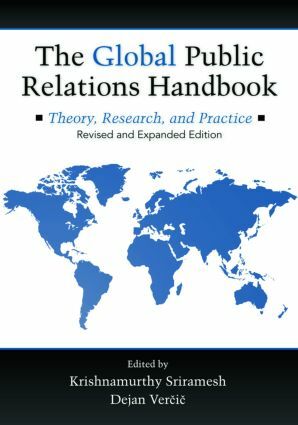 Expanding on the theoretical framework for studying and practicing public relations around the world, The Global Public Relations Handbook, Revised and Expanded Edition extends the discussion in the first volume on the history, development, and current status of the public relations industry from a global perspective. This revised edition offers twenty new chapters in addition to the original contents. It includes fourteen additional country- or regionally-focused chapters exploring public relations practice in Africa, Asia, Europe, and the Americas. Contributors use a theoretical framework to present information on the public relations industry in their countries and regions. They also focus on such factors as the status of public relations education in their respective countries and professionalism and ethics. Each country-specific chapter includes a case study typifying public relations practice in that country. Additional new chapters discuss political economy, activism, international public relations, and United Nations public affairs.